The Government is steaming ahead in developing three new export processing zones (EPZ), while introducing investor-friendly policies to bolster trade and attract fresh foreign direct investments. Development Strategies and International Trade Minister Malik Samarawickrama said they were progressing with two zones, particularly in Millaniya and Bingiriya, in the near future. “Apart from Hambantota, we are working on developing two other zones in Millaniya and Bingiriya. We are still discussing and ironing out the land issues in the southern zone while Millaniya has already started its infrastructure work, and by the end of this month, we will commence the first phase of development in the Bingiriya EPZ as well,” the Minister told Daily FT.
Samarawickrama said around Rs. 2.5 billion will be allocated from the upcoming Budget to build the new zones. He also pointed out that they will soon call for expressions of interest (EoI) from both local and foreign investors to capitalise on these new zones. “We hope to introduce investor-friendly mechanisms to fast-track the approval and implementation of projects. The Board of Investment (BOI) has already set up the Single Window Investment Facilitation Taskforce (SWIFT) to streamline and fast track the investment approval process by interconnecting the first six line agencies. We also hope to talk to the existing investors to encourage reinvestment,” he added. 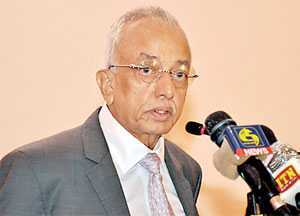 Highlighting that improving local entrepreneurship, exports and FDIs are critical factors to offload the massive debts the Government has to repay this year onwards, Samarawickrama asserted it was imperative to look after the investors and the exports. The Minister also expressed confidence that the Government would be in a position to surpass the $ 3 billion FDI target by end of this year, noting that Sri Lanka is estimated to have drawn $ 2.2 billion as FDIs in 2018. “We are still reviewing the final statistics, which may be released towards the end of this month. However, I think we will end up with $ 2.2 billion for 2018, and we are expecting $ 3 billion in FDIs this year,” he stressed. He claimed that some of the investments had unfortunately gotten delayed because of the political instability the country experienced towards the latter part of 2018. According to the Minister, a few mega investments for a refinery and a steel manufacturing plant are on the cards for this year, where Government has already commenced negotiations.